Google has upgraded its OS. Over the last months, Google has introduced new Chrome OS products like the Samsung Chromebox and a line of new notebooks. 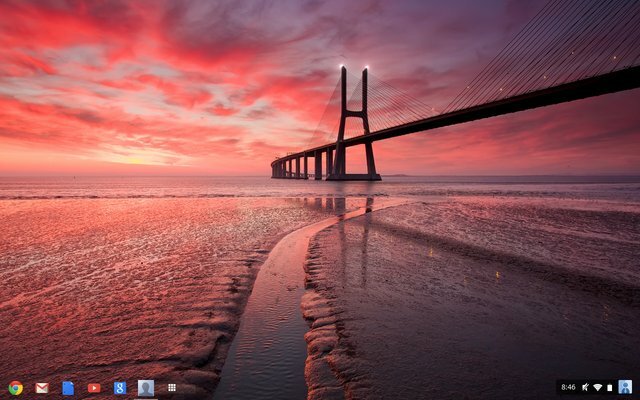 More importantly, however, was the unveiling of Chrome OS 20, the first real "face lift" for the operating system. For this review, we will take a look at what's new in version 20 and 21, as used on the Google CR-48 beta Chromebook. First off, I will be clear in saying that Chrome OS cannot yet compete with Microsoft, Apple or Linux, but it is slowly but surely getting there. The lack of offline abilities (for now) and the need to have apps for most tasks make it a bit daunting for consumers used to the openness of traditional operating systems. Then again, the main benefits of Chrome OS is quick boot-up, and the ability to survive without very much internal storage, thanks to cloud storage of your files. If you are a power user, who needs video/photo editing and other memory intensive apps, Chrome OS will not be for you, probably ever. For the average consumer, however, Chrome OS is becoming a viable alternative. 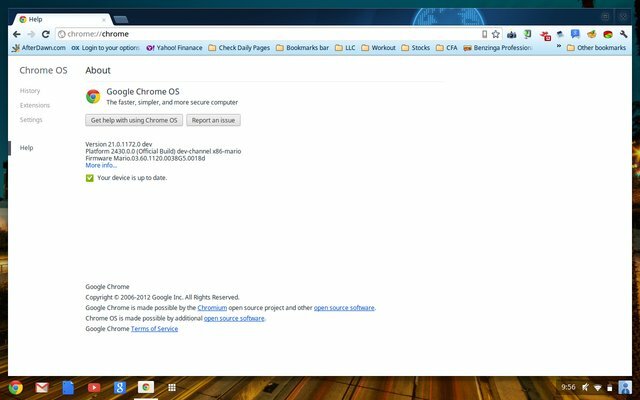 In Chrome 21 (and 20), Google completely changed up the operating system's user interface, making it more familiar to those used to Windows. There is now a taskbar on the bottom which pins your favorite apps. Starting off when you get the update there is Chrome, Gmail, Docs, YouTube, Google Search and the app launcher. On the Quickstart side of the taskbar, there is your login details, battery info, date and time and Wi-Fi/Bluetooth set-up. New to the OS (although not yet live), is the addition of offline Google Docs. just as if they were using Microsoft Office, and then sync it to the cloud when they get back online. Google added offline functionality to Gmail last year, making the email service significantly more useful. Google says the addition of offline Docs is coming in the next few weeks. 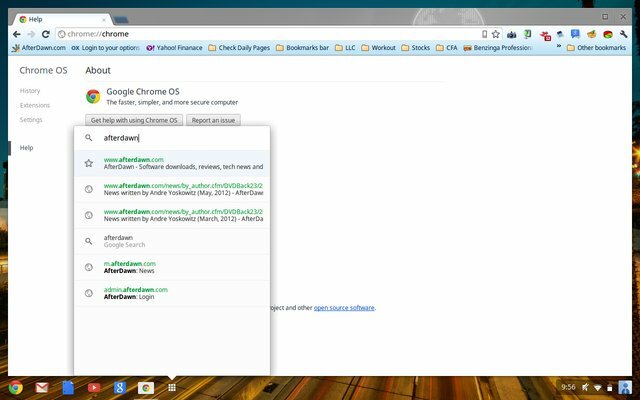 Additionally, the search giant has begun grouping offline apps in the Chrome Web Store while also allowing files to be copied to the local drive from external drives. Supported files are .doc, .pdf, .zip, .rar and certain standard video and audio files. Google Drive will be better integrated into upcoming updates to the OS, notes Google, and will likely be a centerpiece. The app drawer, as seen on Android, is new to the OS, as well, and makes it easier to access your Chrome Web Store apps and games from a convenient place. Before OS 20, you had to open a new tab in the browser and search through your apps to open them. Not all that inconvenient, but the update is certainly a huge improvement. Google's search function has been improved mightily, as well. Using the Search key (where Caps Lock is on normal keyboards), a small window will pop up with your recent apps and the Google search function. 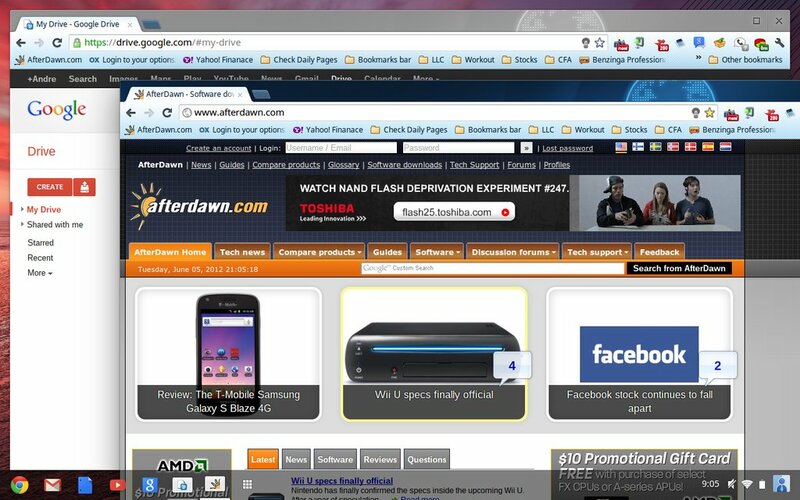 It can search the web as well as your history and your apps without you ever needing to open a new tab or window. Finally, you can use more than one window a lot easier now, since the browser doesn't take up the entire screen. Windows can be moved around at your convenience, as well. Big improvement from past versions. Multi-tasking is vastly improved, as well, thanks to the taskbar as multiple applications can remain open at once in in new windows. They are easier to find on the lower taskbar and can be easily re-opened. Chrome OS has taken a giant leap forward with their operating system, making it much more user friendly. Boot time is still 10 seconds and integration to Google's ecosystem is very strong. Google may have the real beginnings of a competitor on its hands. Last edited by online24; 26-09-12 at 16:45.